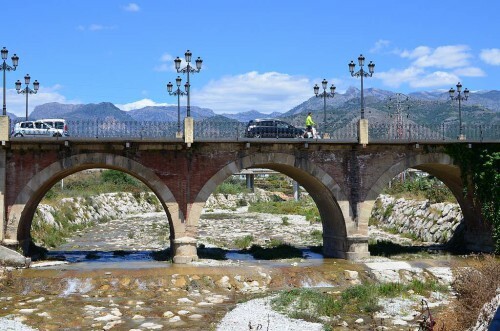 The Puente Viejo - Old Bridge - is at the western end of Nerja and is the way into town when arriving on the N-340 coastal road from neighbouring Torrox Costa. 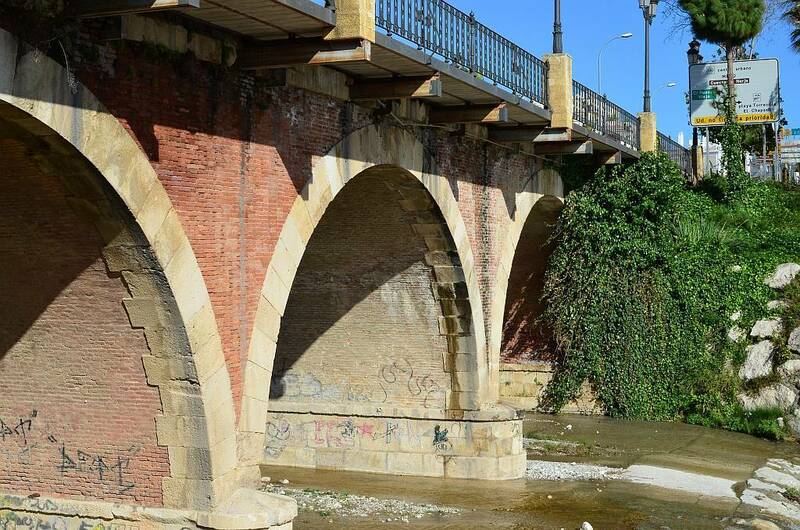 This three span bridge with a brick facing was originally built in 1860. 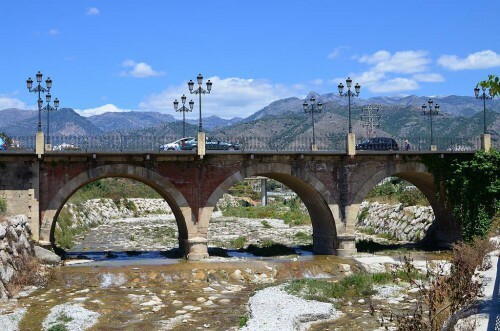 It has twice been destroyed by floods and then rebuilt, the last time being in 1979. During the Great Flood of September 2007 the bridge was once again in danger of being washed away, such was the intensity of the waters, but fortunately it held firm. It is quite a picturesque bridge and spans the rio Chillar. 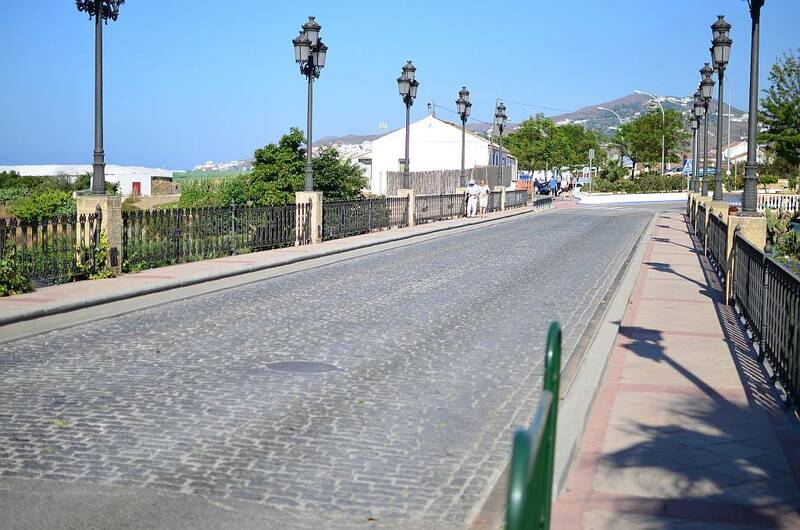 The surface of the bridge is cobbled and is flanked by decorative lampposts. The top of the lampposts are favoured nesting places of Doves. 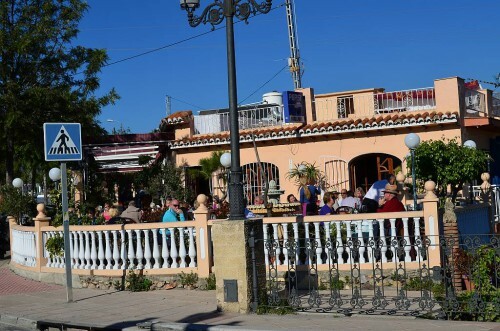 At the western end of the bridge is an excellent tapas bar and restaurant, appropriately named El Puente.